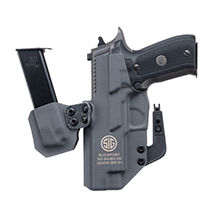 Please select any of the special modifications that are needed on your holster. 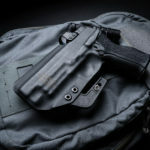 The SIG Exclusive IWB was developed by BlackPoint Tactical in collaboration with SIG SAUER® to be a minimal appendix carry holster that can be easily reconfigured to be worn comfortably in any IWB, strong-side position. 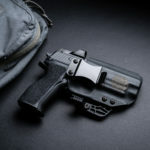 It features the SIG Strut™ which acts as a lever on the holster against the inside of the belt, pressing the grip of the firearm into the body aiding in concealment. 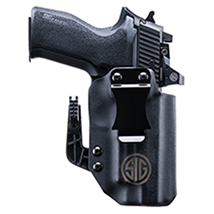 The SIG Strut™ has built-in height adjustment allowing it to be moved to match the user’s belt height. 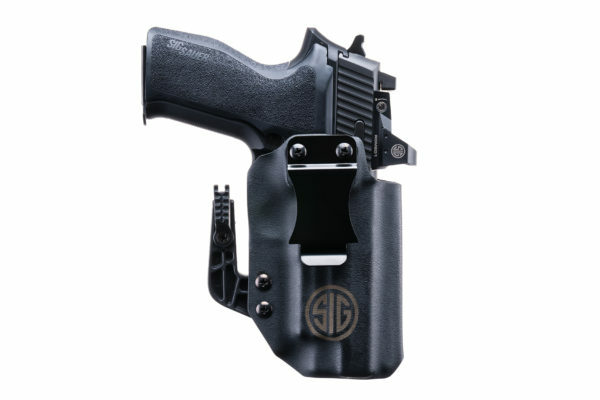 The back of the SIG Strut™ has channels to capture the hardware which aids in the height adjustment. 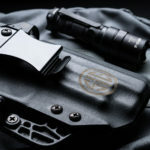 The holster ships with all needed hardware so that SIG Strut™ can be removed while retaining full functionality of the holster. This quick swap is recommended for users who wish to carry in a position other than appendix. 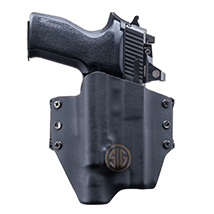 The SIG Exclusive IWB holster also features adjustable cant and ride height which can be quickly modified by simply loosening the screws on the belt clip, adjusting the clip position, and tightening. 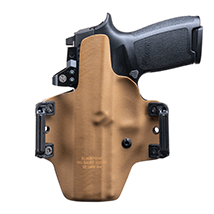 This provides the end user a wide range of adjustability so they can find the carry position which is most comfortable for them. 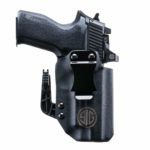 The SIG Exclusive IWB holster has a factory RDS cut to allow the use of SIG Romeo optics where desired. 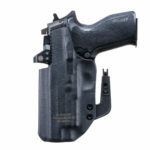 The screws underneath the trigger guard allow the user to easily adjust the tension on the holster within a set range.